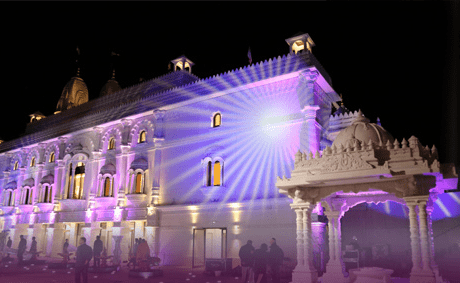 The Mandir (temple) in Kingsbury is the principal Mandir in the south of England of Maninagar Shree Swaminarayan Gadi Sansthan – the worldwide centre for spiritual, cultural and social welfare, based in Ahmedabad, Gujarat, India. The Organisation was founded by Jeevanpran Shree Muktajeevan Swamibapa, the founding Acharya of Shree Swaminarayan Gadi – the divine office of Lord Shree Swaminarayan. While principally a place of worship, the Mandir and surrounding facilities that make up Shree Muktajeevan Swamibapa Complex play host to a range of cultural, artistic, sporting, educational and charitable activities, all inspired by His Divine Holiness Acharya Swamishree Purushottampriyadasji Maharaj, the current sovereign of Shree Swaminarayan Gadi. As well as being the reverential leader of many thousands of people around the world, Acharya Swamishree Maharaj is acclaimed as being the “Ultimate Humanitarian” due to the charitable projects that He has instigated. He has inspired the establishment of numerous centres around the world, akin to the Mandir in Kingsbury. 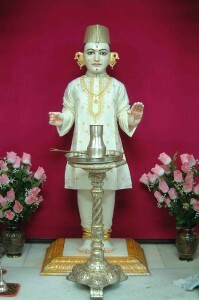 The Swaminarayan Faith is a branch of Hinduism, which was founded by Lord Shree Swaminarayan Himself, at the end of the eighteenth century in Northern India. 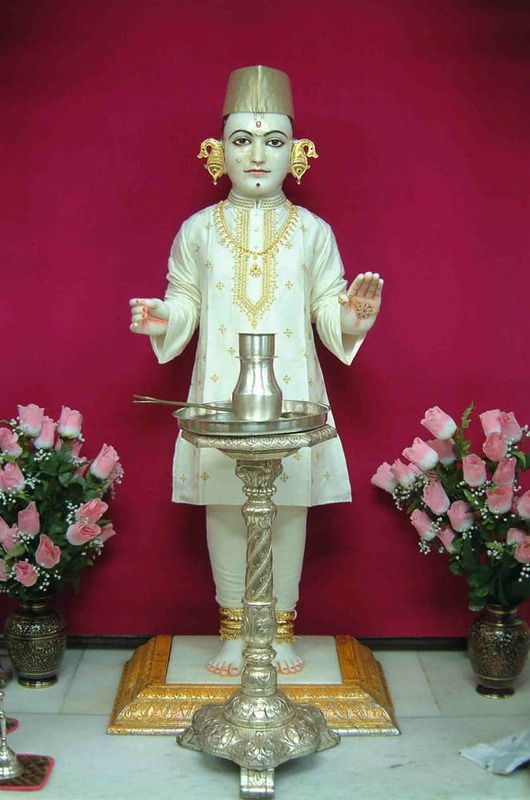 Lord Shree Swaminarayan instilled into people the ideology of highmorals, love and compassion for all, irrespective of caste, creed, colour or gender. His sole intention was to rejuvenate the principles of true religion, which were being disintegrated by irreligious and evil practices. 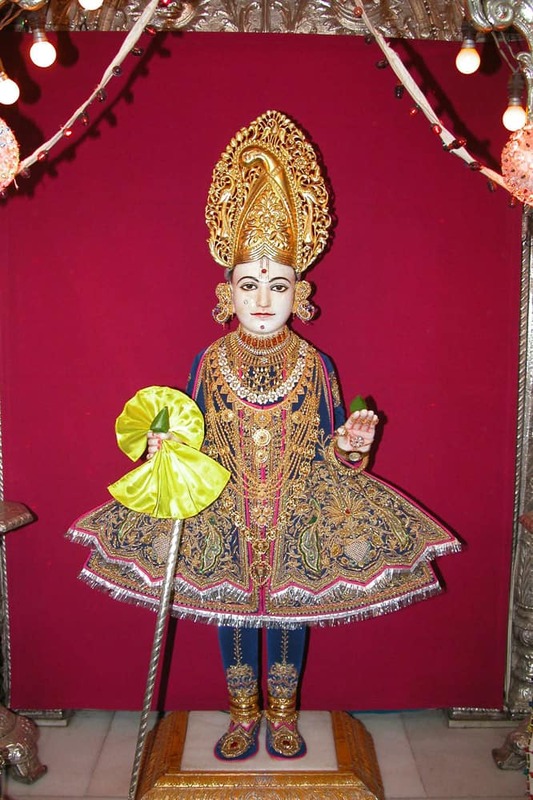 Lord Shree Swaminarayan taught by example; He encouraged the donating of charity and welfare to the unfortunate, poor and hungry, and personally attending to their needs. Compassion and tolerance for all living beings are His most essential teachings. The only means that Lord Swaminarayan used to inspire the masses to follow Him was His immense love and care for them all. While principally a place of worship, the Mandir and surrounding facilities that make up Shree Muktajeevan Swamibapa Complex play host to a range of cultural, artistic, sporting, educational and charitable activities, all inspired by His Divine Holiness Acharya Swamishree Purushottampiyadasji Maharaj. Shree Muktajeevan Arts & Culture Academy teaches a range of tradition as well as modern music and dance forms, and serves as a pipeline of performers for concerts that take place all over the world. Shree Muktajeevan Excellence Academy encourages and enables the youngsters of the Mandir to excel in their educational careers, and celebrates the success if its students at an annual set-piece event in the presence of Acharya Swamishree Maharaj.